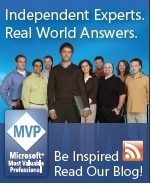 In case you missed it, there is a new help technology under development at Microsoft. 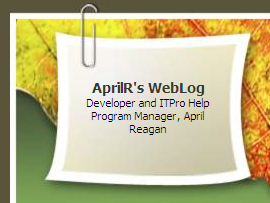 A new dev team was formed early 2008 and is led by program manager April Reagan. The team's immediate aim is to replace VS MSDN help using readily available technologies (such as Windows Desktop Search and ZIP file containers). April says that eventually (somewhere down the line) she hopes to see this technology available to everyone (not just MSDN users). It's been refreshing to see a project team being so open with the community at this early stage of the project. Remember it's early days and just like Help 2.0 (VS / MSDN Help) and its cousin AP Help (Vista Help) it may all come to nothing. We hope that MS can pull it off this time. The need is certainly out there.